WOW! Amazing!! So much growth in a year?? Who is this person in this body and whose mind is this?!! I have learned so much, created so much, grown so much, changed so much! 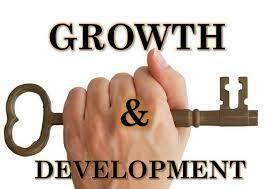 Last year’s growth and development from the Master Key Experience program is inexplicable. I’ve practiced the tools and messages we studied from the Master Key System Lessons written by Charles Haanel in 1912 which contain the key to a great life if you do the work. It takes practice visualizing and manifesting the life of your dreams. These two lesson explain everything that has happened to me in the last year. I have discovered my life purpose and am joyfully at work preparing for its launch. Thank you Charles Haanel, Mark J, the Fabulous Davene for hearing the call when it touched you on the shoulder!!! Master Key Lesson 1.15: “The world within is the practical world in which the men and women of power generate courage, hope, enthusiasm, confidence, trust and faith, by which they are given the fine intelligence to see the vision and the practical skill to make the vision real”. Master Key Lesson 1.16: “Life is an unfoldment, not accretion. What comes to us in the world without is what we already possess in the world within“.